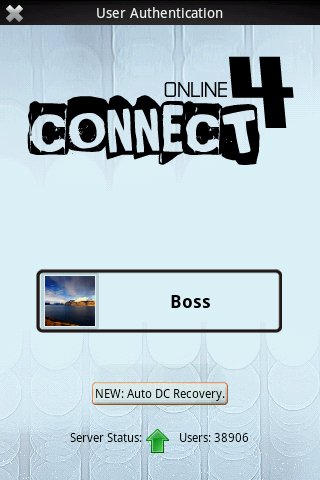 Now play this classic game online on your android phones and make more friends from Cloudroid gaming networking. 1. 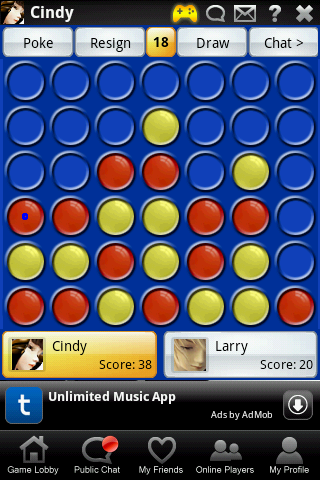 New user: Go to android market and search for ‘connect four’ and you will find the game from Cloudroid. 2. Already playing other cloudroid games? Sign in any cloudroid game on your android phone. In the game, press MENU button, then click MORE GAMES, you will see this game in the list.